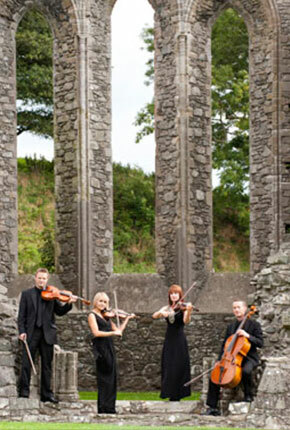 Arco String Quartet is one of the country's leading professional and dynamic string quartets, having gained a fine reputation in Ireland both North and South for providing the highest quality musical entertainment and a level of performance, presentation and service second to none. All the players, members of The Ulster Orchestra and the finest players in Ireland, are graduates of major music conservatories in England and Ireland, and have performed all over the world, as far afield as China, USA, Malaysia and South Africa, with orchestras including The Ulster Orchestra, The RTE National Symphony Orchestra, The RTE Concert Orchestra, Camerata Ireland, The Irish Chamber Orchestra, The Halle Orchestra, The Royal Liverpool Philharmonic, English National Opera, Scottish Opera, Northern Ballet and Manchester Camerata. 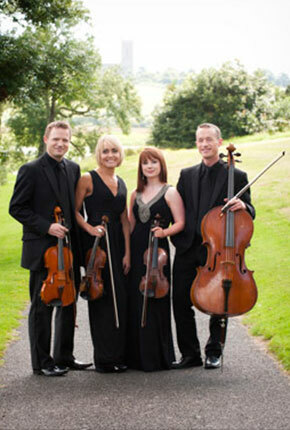 Arco String Quartet, before moving home to Northern Ireland, also appeared at Covent Garden and held a residency in the famous Claridges Hotel in London. 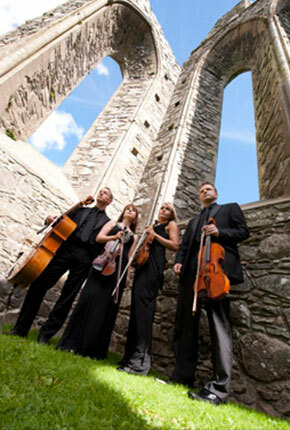 Arco String Quartet's versatile sound and friendly attitude has made them a favourite with stars of both the pop and classical world, and have performed in concert, on tour and on television alongside artists such as Duke Special, Pavarotti, Russell Watson, Sir Bob Geldof, Peter Corry, Rod Stewart, Daniel O'Donnell, The Divine Comedy, Ronan Keating and The Bootleg Beatles. Arco String Quartet is a highly sensitive and finely tuned group of musicians, able to create the perfect atmosphere and mood for any event. They are equally at home performing at weddings and corporate events as they are appearing on the concert platform.